OISHI, Malaysia’s favourite ready-to-drink green tea beverage has embarked on a rebranding exercise with a new name and innovative packaging design across its entire product range, enabling the well-loved drink to enhance its widespread appeal and stand out amongst other brands in the segment. Oishi is Japanese for ‘delicious’ while Oyoshi means taking the delectable taste to the next level. As part of the rebranding initiative, OISHI will change its name to OYOSHI to reflect its evolution from being just delicious (oishi) to a taste that is “beyond delicious” (oyoshi), akin to its campaign name. Now produced with the new F&N state-of-the-art cold-aseptic filling technology the unique blend tastes fresher and better defined. The change in name and packaging will be effective from end of July 2018 and the revamp will be supported by a promotional drive covering all channels including a digital campaign and product sampling. 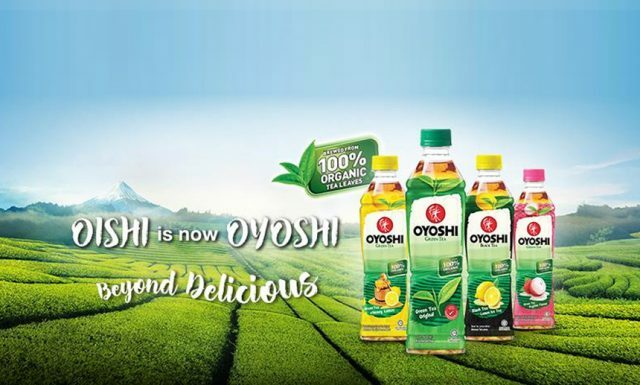 Each bottle of OYOSHI is packed with refreshing flavours that is set to quench consumers’ thirst and satisfy their taste buds, unleashing a revitalised ready-to-drink green tea beverage with a more exciting and enjoyable taste. 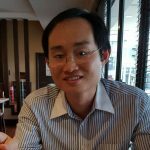 According to Mr. Graham Lim, Vice President, Marketing of F&N Services (F&N) Sdn. Bhd., the repositioning of OISHI to OYOSHI aimed at boosting its brand affinity and strengthening consumer loyalty towards the popular beverage. “Since its introduction in 2013, OISHI has grown significantly to become one of Malaysia’s favourite ready-to-drink green tea beverage. Repositioned as OYOSHI, the beverage is poised to not only create a greater appeal amongst existing consumers but also reach a broader market that is constantly looking for authentic Japanese tea taste and the health benefits of green tea which naturally contains anti-oxidants. “OYOSHI is brewed from 100 per cent organic tea leaves grown on certified organic plantations. Therefore REAL green tea leaves are used and with no added preservatives. These elements enable us to offer high quality value in each bottle of OYOSHI. We are confident that the newly revamped OYOSHI will continue to set us apart from the rest and meet the demand of today’s consumers particularly the young urban crowd who lead a healthy lifestyle and are more likely to indulge in a premium beverage like OYOSHI,” said Mr Graham Lim. Only the three youngest leaves at the tip are selected from each branch of the organic tea plants in making OYOSHI. These young organic leaves are then masterfully brewed according to OYOSHI’s signature recipes without the use of preservatives or artificial colouring through the new cold-aseptic filling (CAF) technology. CAF involves the process of bottling a product at ambient temperatures without tunnel pasteurisation or hot filling and without the use of preservatives or cold sterilising agents. The process provides improved taste and a greater nutritional value to OYOSHI. Through CAF, OYOSHI stays safe, fresh, flavourful and preservative-free. OYOSHI is sold at retail stores across Malaysia in 380ml and the all-new 1 litre PET bottles. The brand comes in four delicious flavours, namely OYOSHI Green Tea Original, OYOSHI Green Tea Honey Lemon, OYOSHI Lychee Green Tea and OYOSHI Black Tea Lemon.